There is no denying that Instagram is one of the most influential social media marketing tools available for marketers today. As the internet marketplace grows more competitive, marketers are now forced to adopt the latest trends to boost sales and Instagram is delivering the goods. If you are not already leveraging this social media network, you are missing out big time. With over 700 million monthly active users (MAUs), this is without doubt a powerful marketing tool which every marketer should be using. What’s more, Instagram is a great tool for increased engagement with your target customers. In fact, a study published on Forbes says that Instagram delivers an engagement rate of 4.21% per follower. This is 58 times more engagement per follower than on Facebook. When you start building real Instagram likes,it becomes easier to grow your following,which in turn leads to higher conversion. Better still, you can engage with customers on multiple channels using your Instagram posts. For instance, you can share your photos on your website, Facebook, twitter or any other platform to boost your brand’s visibility. If you are struggling to boost your conversion rates, it is time to start an Instagram marketing campaign. It is easy to ignore the Instagram business bio as you excitedly jump into posting. This is a big mistake because in your bio, you have a chance to convert by impressing visitors instantly. You should outline your business in the few words allowed and remember to include the all-important link to your business website. In the excitement to join the Instagram bandwagon, you might find yourself stuck in the middle of the campaign. This is a mistake that is made due to lack of a goal-driven Instagram strategy. Identify your goals and these should form the foundation of your plans. At the core of your campaign should be goals; are you after brand awareness, driving traffic, boosting sales, increasing visibility or telling your story? Make sure you know exactly whatyour goals are. Social media is social and there are no two ways about it. This means if you want to get free Instagram likes, you should be ready to engage your audience. Posting good content is not enough because your audience wants to see your presence through continued interaction. You have to engage with the hashtags, images, users and conversations relevant to your niche. 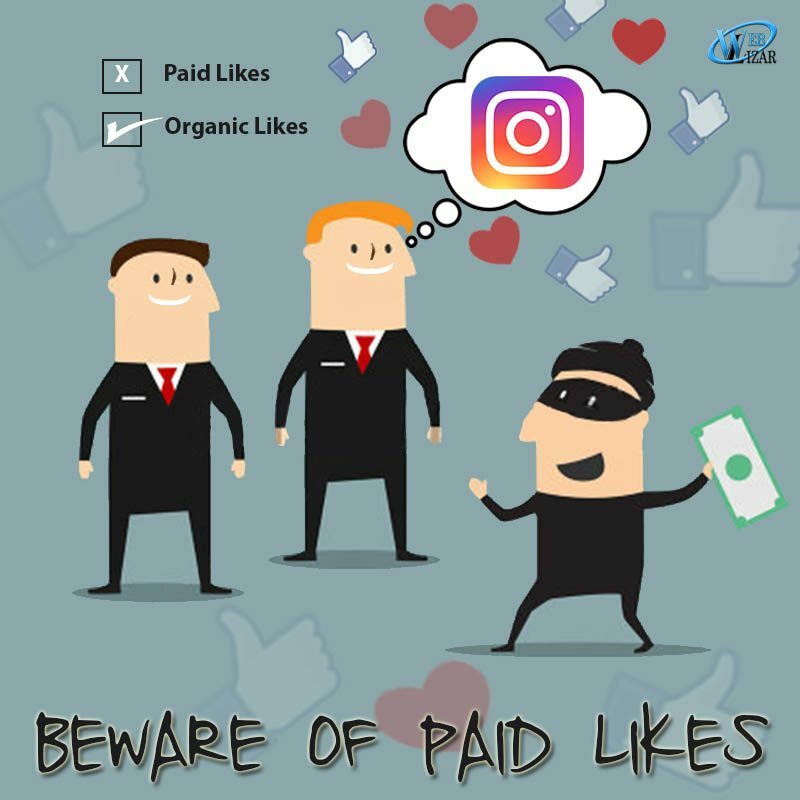 If it is an Instagram business profile, make sure you make it public. It has to be publicly accessible because the information provided here is crucial in your marketing campaign. When potential Instagram followers see a private icon, you can bet they will just move along. Other mistakes include posting supplicate content, misuse of hashtags, posting images that are not properly edited, lack of a call-to-action (CTA), not posting videos, failure to optimize for click-through and ignoring Instagram tools such as Like4Like which help you grow likes naturally. Also if you hadn’t got the chance to read about How Instagram Inspires the Features of Web Design please go through this blog. Walter Moore is a well-established digital marketer with one of the leading mobile application development companies. He has extensive knowledge in social marketing. He has written several posts on free Instagram likes on his blog.